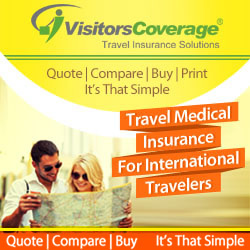 We provide Flight Itinerary and Hotel Reservation for any Visa processing. Travel is fun not a puzzle. Spread the Wings to feel the travel experience. Our site protected and secured as its SSL certified.Padlock activated for your safe and secured card transactions. We have Paypal buyer protection as you will get all your money back in case you are not happy with the service. Flight Itinerary for VISA, without paying full ticket price. Hotel booking in minutes for your VISA processing. If service is not satisfactory, 100% Money back is Guarantee . Backpack is fun …..!!!!! for anybody everybody who loves to travel.Travelvisaguru team is big lover of traveling.Its has a awesome experience in travel .We understand exactly when you spread your wings for may be to tan on a beach all day or want to embrace the sky or want give free dome walk on mountain or want dive in water or want to see the new city and enjoy the experience of tourist. The most mind boggling part of travel is getting ready with most essential thing is tourist Visa.The bureaucracy process is tedious when considered to click and go era so it could end up in pain during this tourist visa process. Now we want the visa in hours so that tourist can just plan and experience travel as and when he/she wants it.For recent years Travelvisaguru team is helping fellow traveler by giving them appropriate consultation to get their travel visa on time so that they can execute travel plan accordingly. This consultation was happening for trial period to just help people but now its passion because of people liked our service and helped us to move the level where now everything is online and big time functional across the globe!!!!!! As we have complete system to provide service like “temporary” flight itinerary and Hotel booking which also includes personal cover letter ,leave and no objection letter for any visa processing.